This tribute is a celebration of the four-decade strong success, popularity and resilience of one of the most successful musical stories ever told…… EARTH, WIND & FIRE! Maurice White along with his brother Verdine and Philip Bailey began in the Sixties as R&B’s first super crossover group, and in the Seventies became just that in the music industry. Today, no party is complete without them & no night on the town can end without hearing at least one of their harmony-laden tracks. Earth, Wind & Fire’s music is ‘timeless’, and fans around the world constantly crave the opportunity to hear their songs performed live. Shining Star now fills that void! This amazing recreation of Earth, Wind & Fire’s music and show is based on the 1970’s thru 1980’s the peak time of Earth, Wind & Fire’s magical career, and the highly acclaimed live recordings of their concerts later released on DVD’s. This show’s playlist has been hailed as the definitive collection of Earth, Wind & Fire’s top charting hits, and includes best-loved songs such as After The Love Is Gone, Sing A Song, September, the remake of the Beatles classic song Got To Get You Into My Life from the movie Sgt. Peppers Lonely Heart Club Band and their namesake “Shining Star”, along with disco tracks, Boogie Wonderland, and Let’s Groove Tonight. Earth, Wind & Fire has performed at countless award shows where they have also received 6 Grammy Awards and 4 American Music Awards. They have been inducted into both the Rock and Roll Hall of Fame and the Vocal Group Hall of Fame. Rolling Stone Magazine has described them as “innovative, precise yet sensual, calculated yet galvanizing” and has also declared that the band “changed the sound of black pop”. In 1998, they were ranked at number 60 on VH1’s list of the 100 Greatest Artists of Rock N’ Roll. Earth, Wind & Fire is known for the dynamic sound of their horn section and the interplay between the contrasting vocals of Philip Bailey’s falsetto and Maurice White’s tenor. 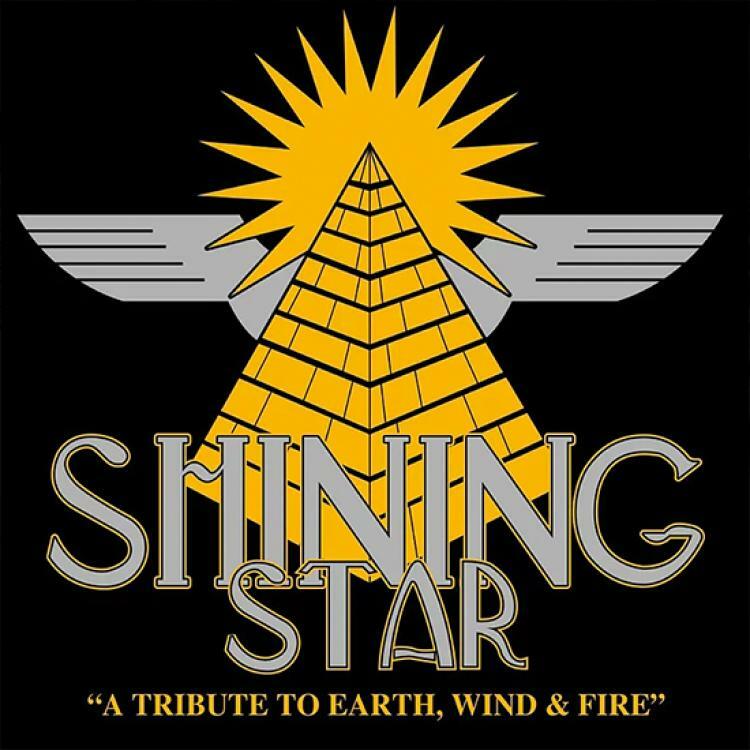 Shining Star ‘s live show consists of Lead Guitar, Bass Guitar, 2 Keyboardist, Drums, 3 Piece Horn Section & The exact vocal reproduction of Maurice White and Philip Bailey. Shining Star will deliver a national quality performance for a fraction of the price tag of a band of their magnitude and size. Your guest will leave this musical and visual extravaganza feeling as though they have been entertained by the legends and most well known R&B pop bands ever…EARTH, WIND & FIRE.